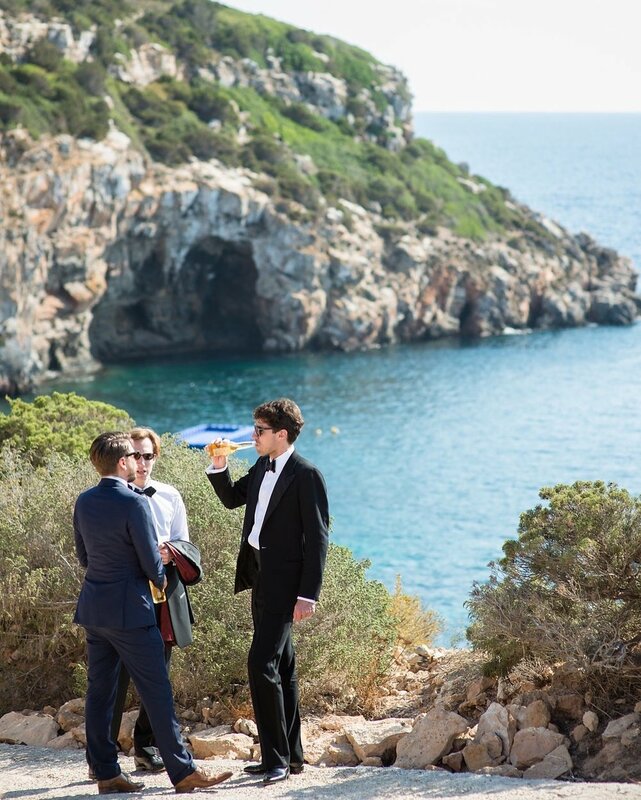 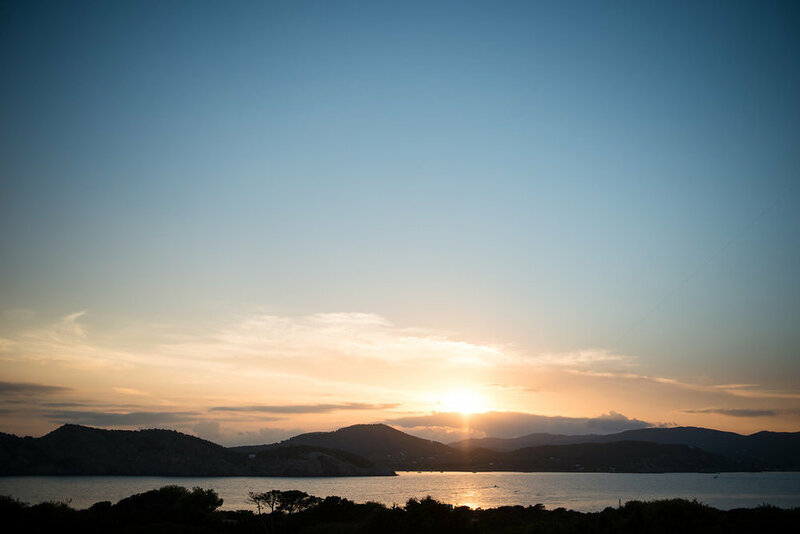 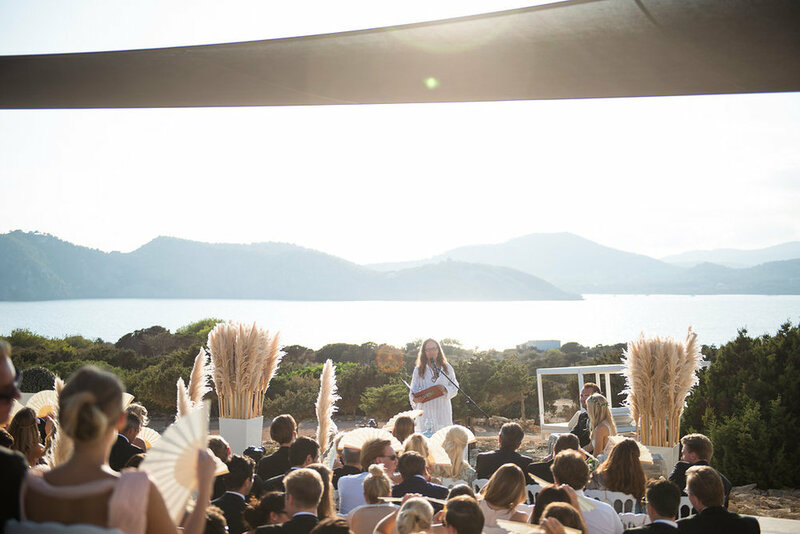 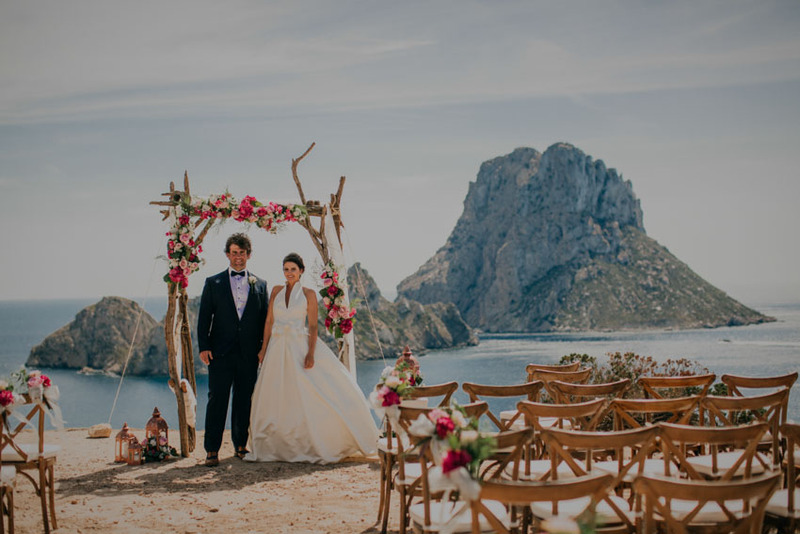 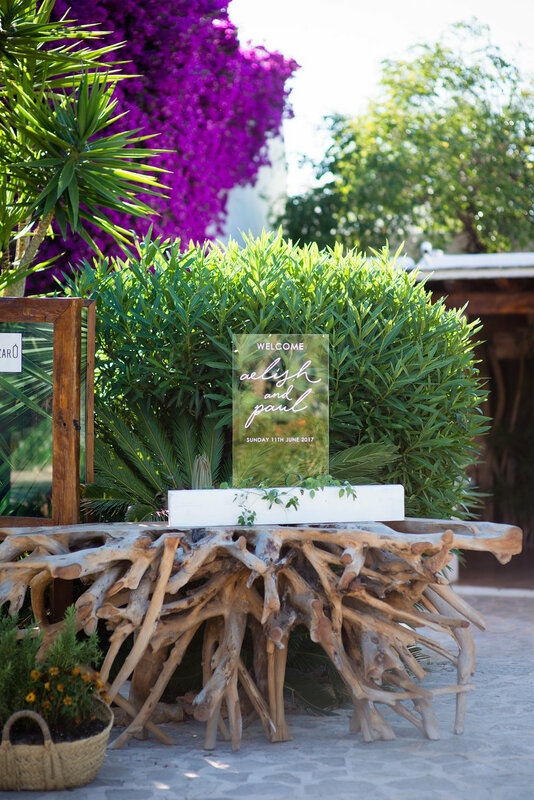 When Jenny and Philip decided on marrying in Ibiza, there could only be one dream destination for them....the private island of Tagomago, which Jenny´s Father´s home overlooked from Ibiza. 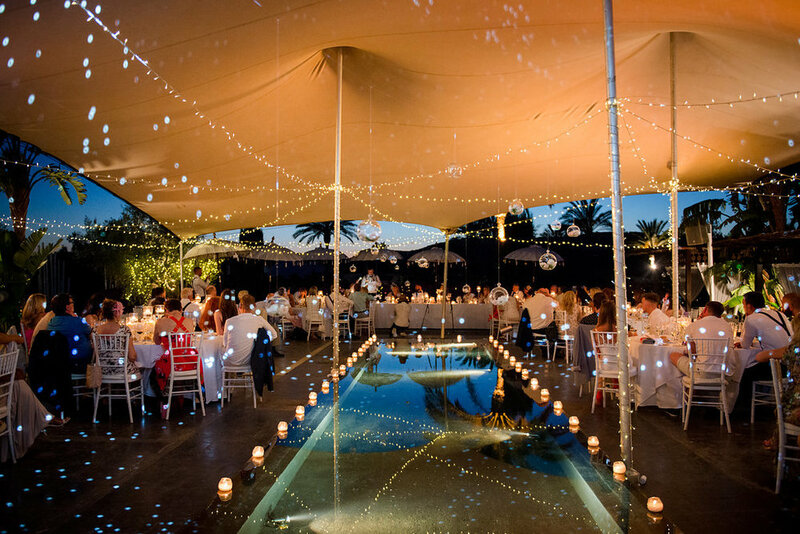 On the Eve of the wedding this is where Jenny, Philip and their friends and family from all over the world met, enjoying an informal bbq and cocktails before the main event. 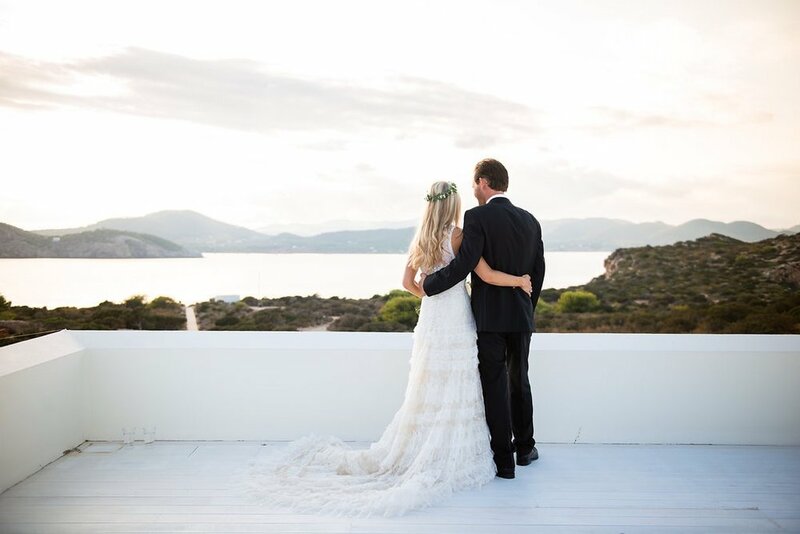 Jenny and Philip are hard working, dynamic, successful people who have since had a beautiful baby boy and now own their own home on the island and they were certainly determined and unfazed by the challenges posed by marrying on an island where everything has to be brought in by boat and where the stunningly blue waters are part of a National Park and strictly protected as such. 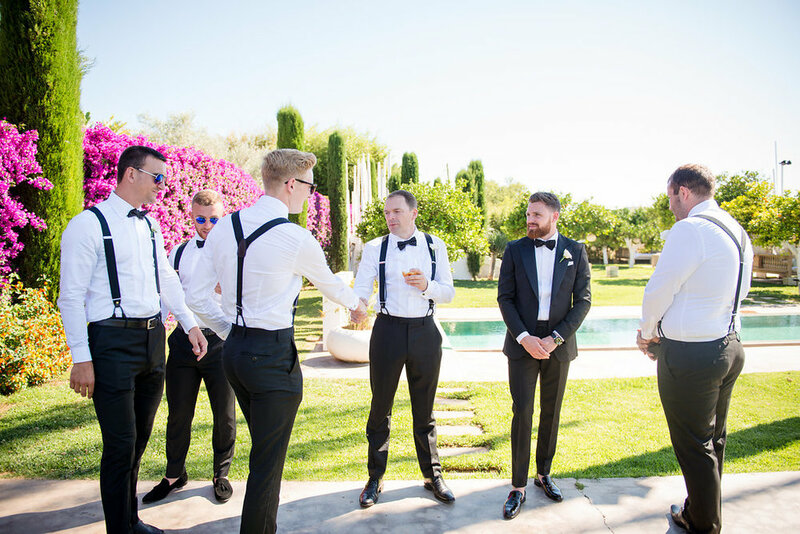 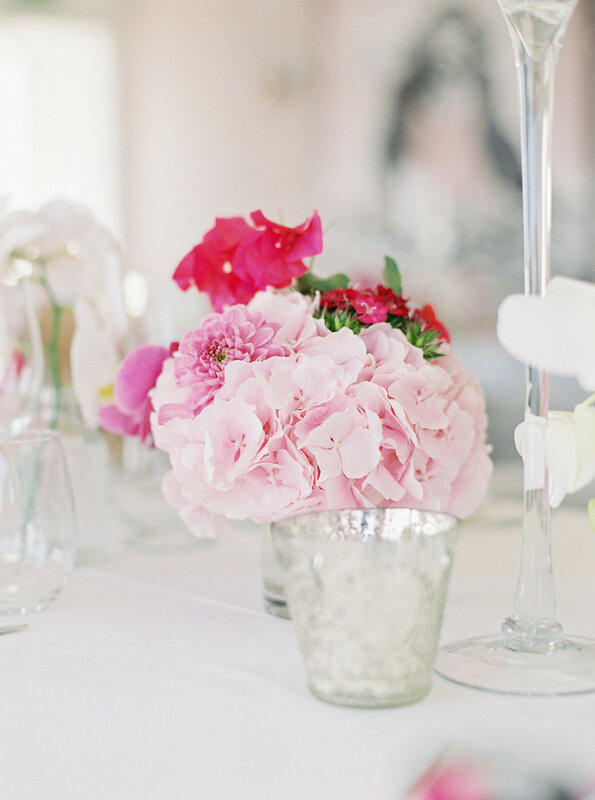 This was certainly a wedding that kept us as Planners very much on our toes! 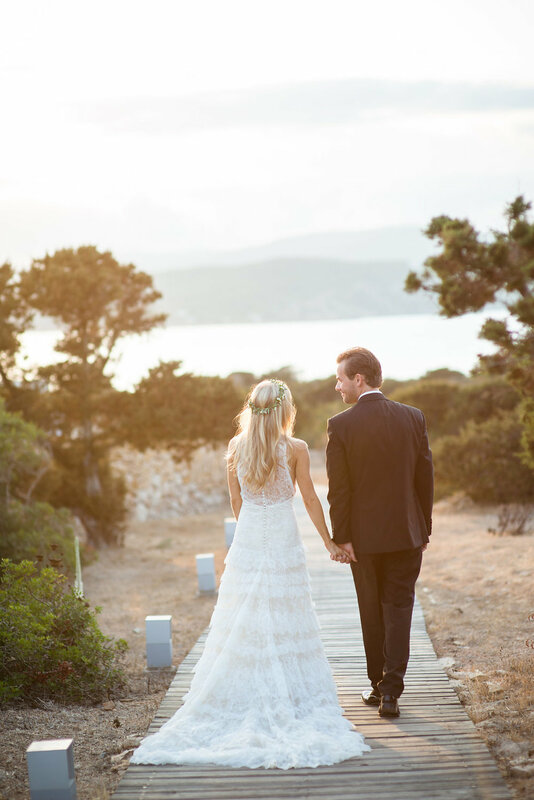 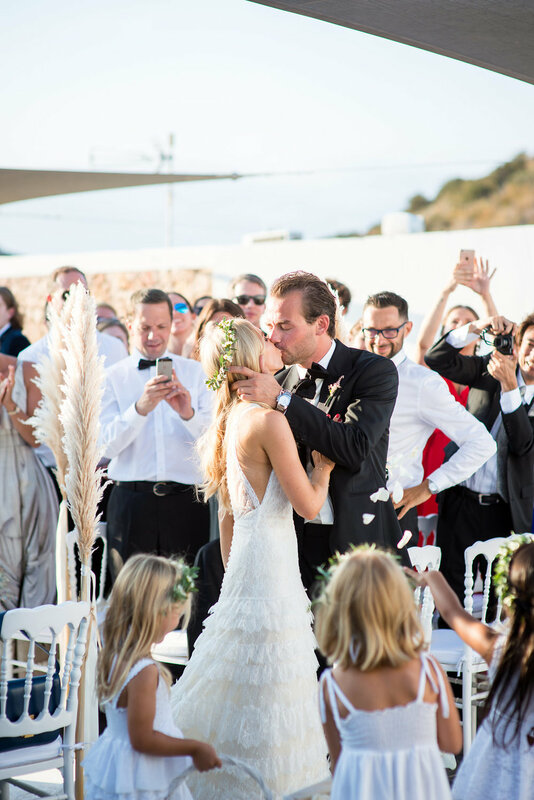 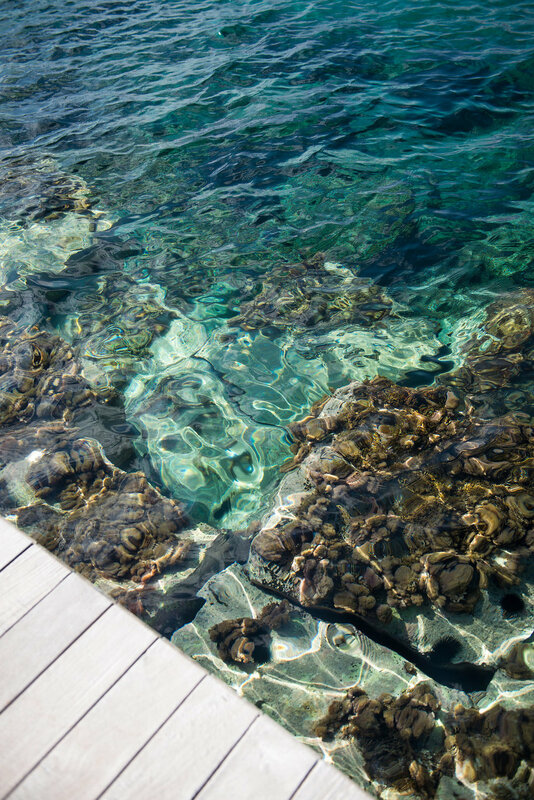 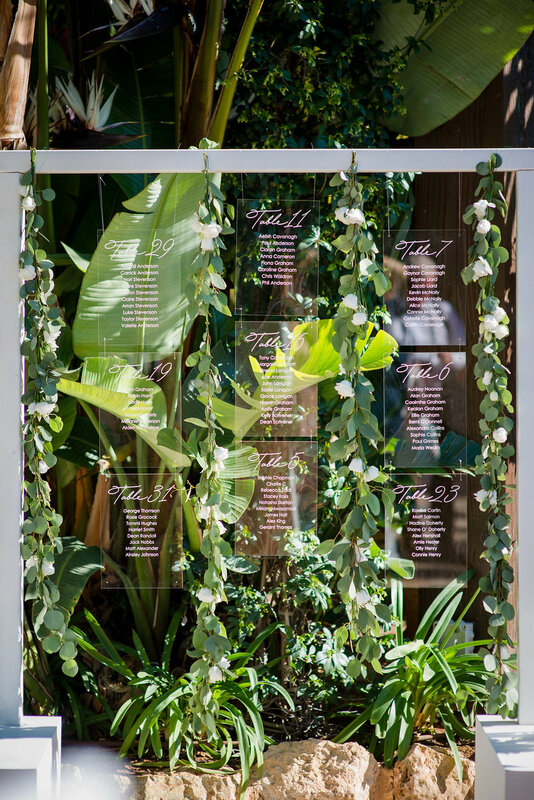 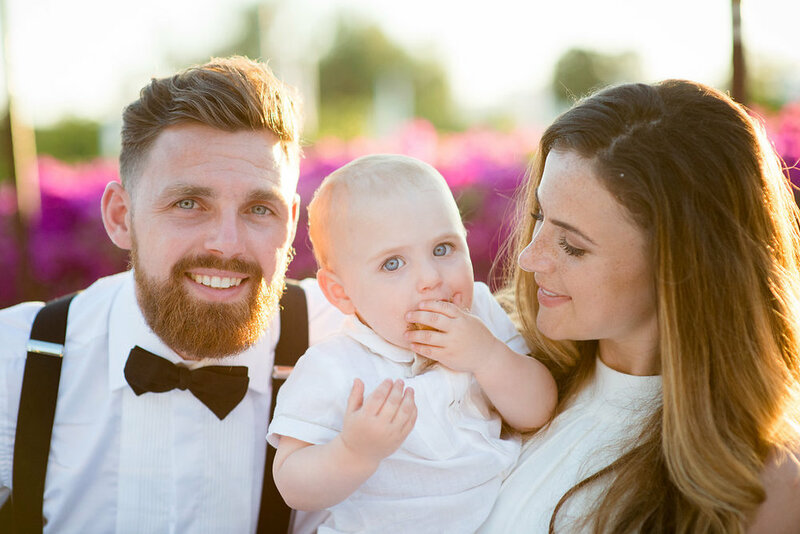 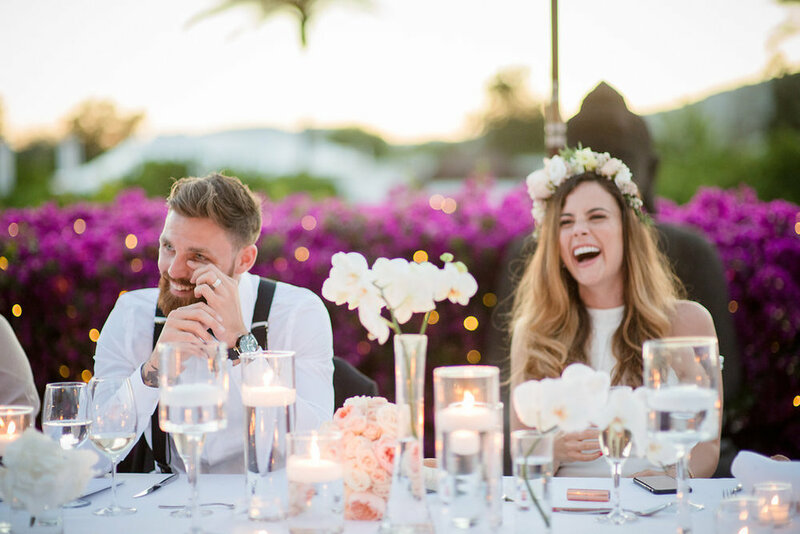 This was a stylish, intimate wedding with great respect paid to the natural beauty of the island. 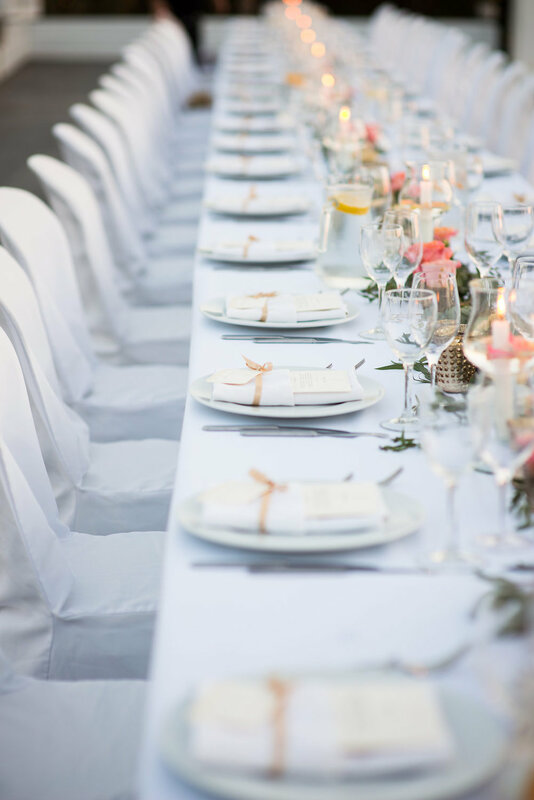 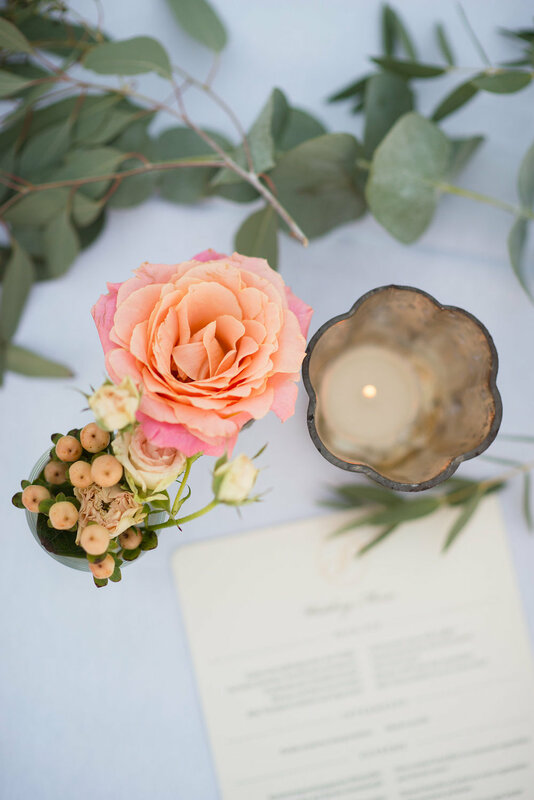 This was reflected in the decoration and styling of the day from the pampas grasses to the chic and understated floral decorations on the tables. 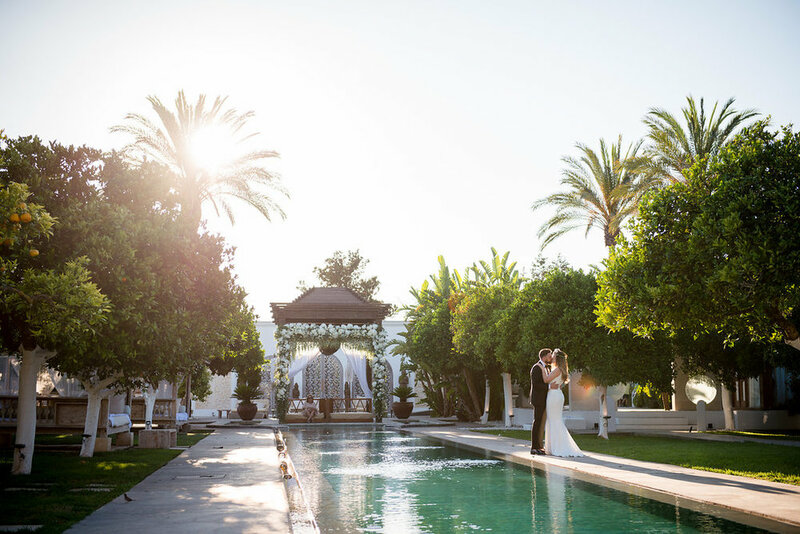 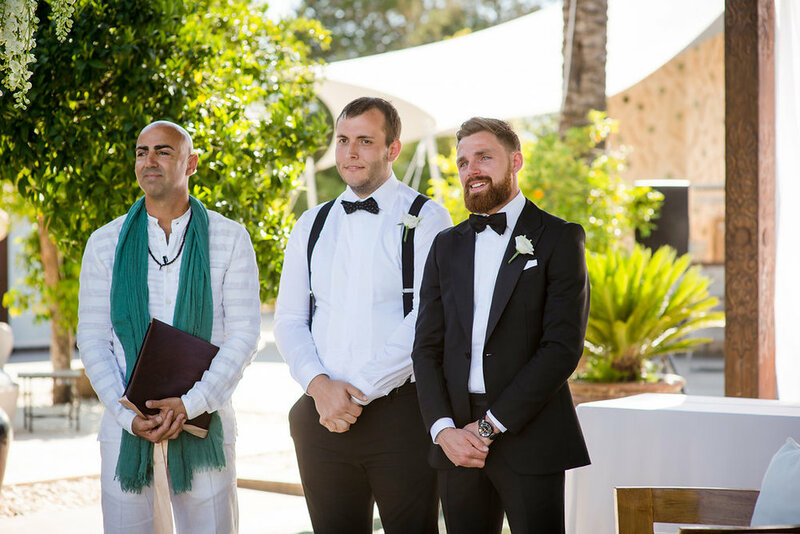 The ceremony conducted by Jon Michel was just the perfect choice for such a stunning setting and it would be no exaggeration to say that most of the guests had goose bumps watching and partaking in this ceremony as the sun set into the ocean behind them. 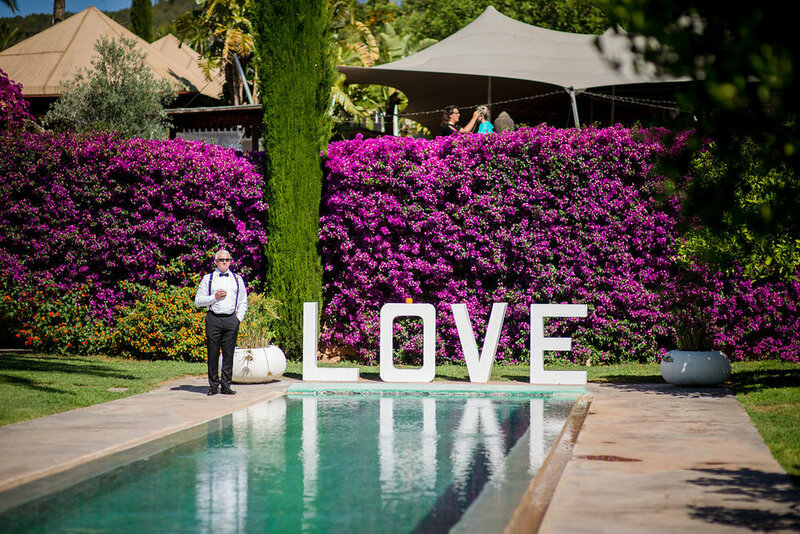 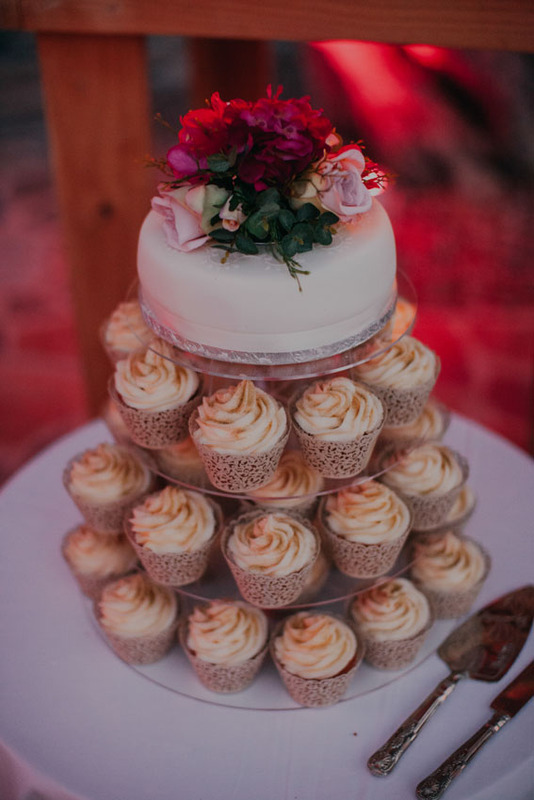 Dinner was a multitude of starters, encouraging guests to really get stuck in, share and converse, followed by a blind man´s paella and beef fillet with wasabi puree, a selection of mini desserts and then a huge 1.5m wide strawberry and sponge wedding cake. 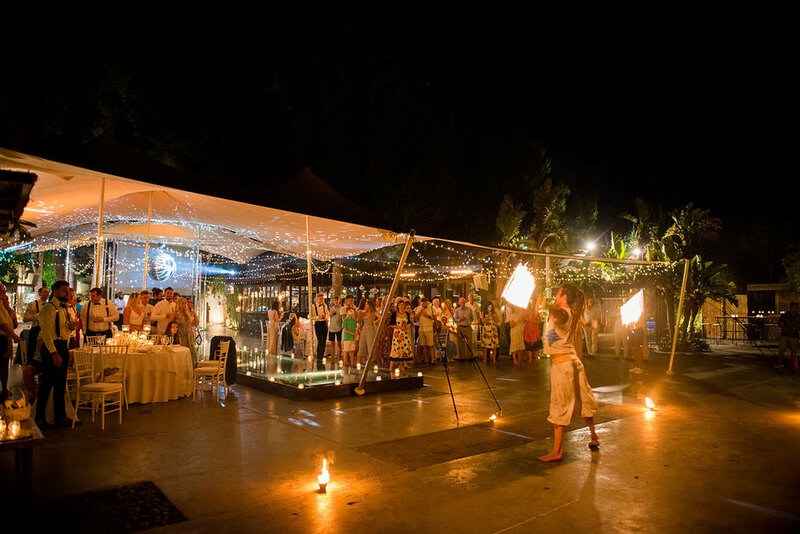 At midnight a traditional goulash was served (and yes even after that feast this went down a storm); the perfect choice to soak up the plentiful offering of various cocktails and drinks, before guests were whisked off by speed boat back to Ibiza. 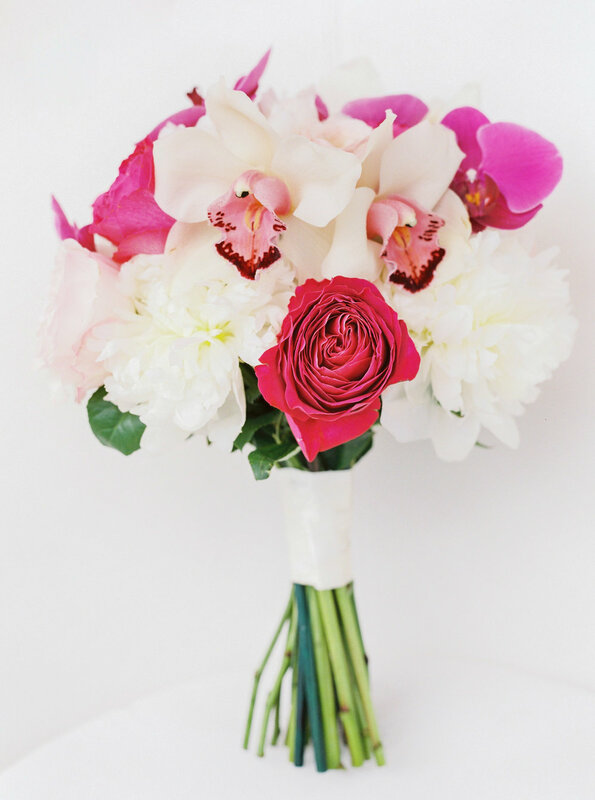 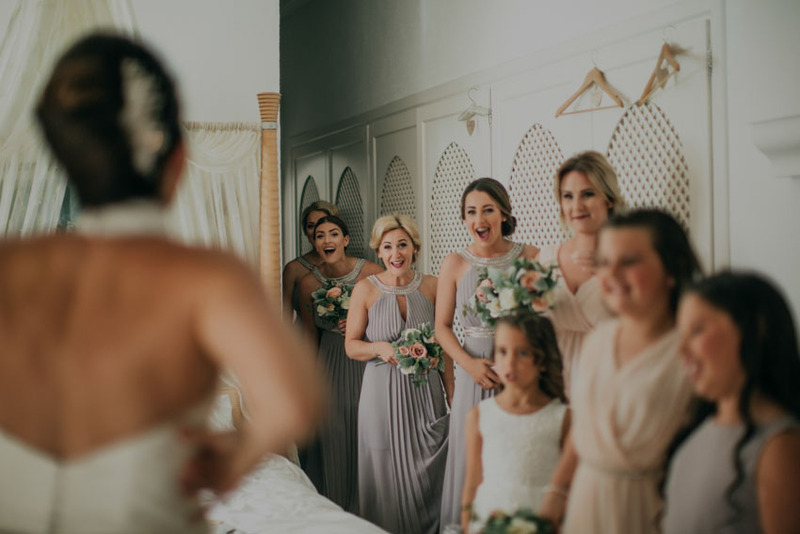 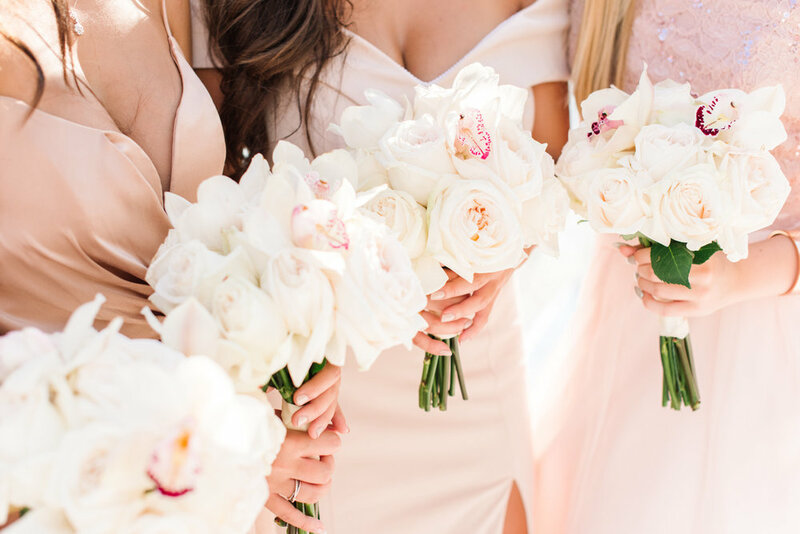 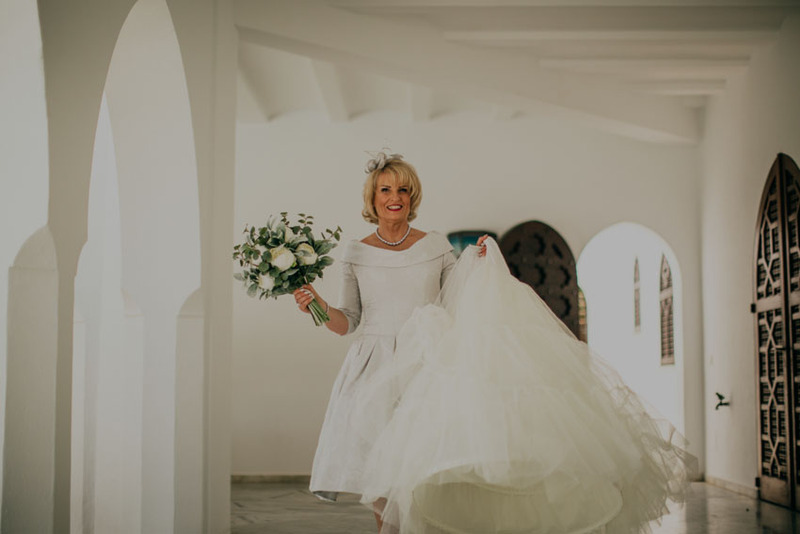 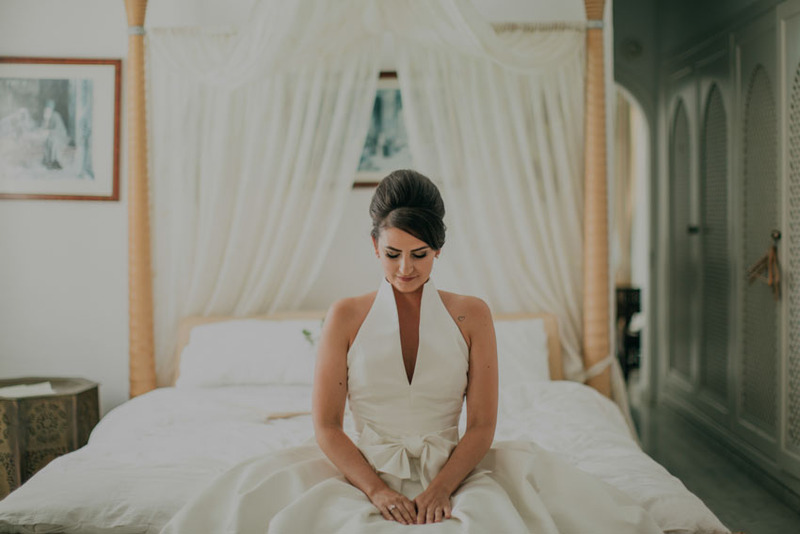 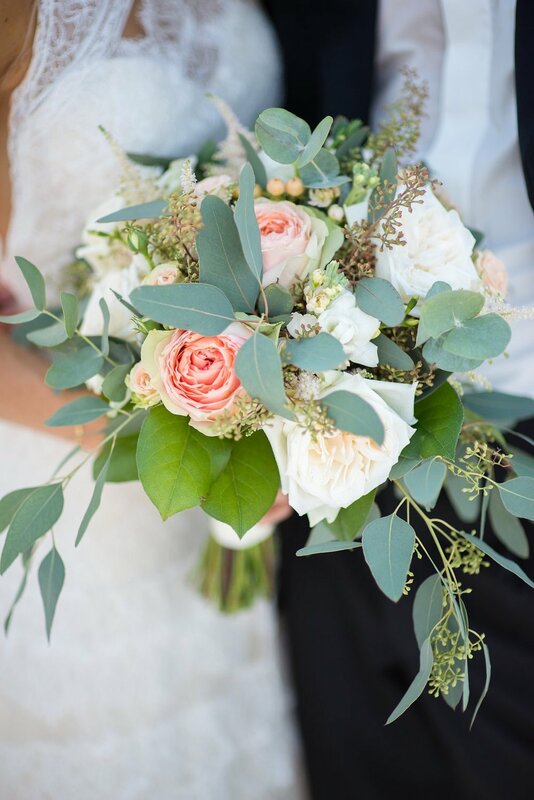 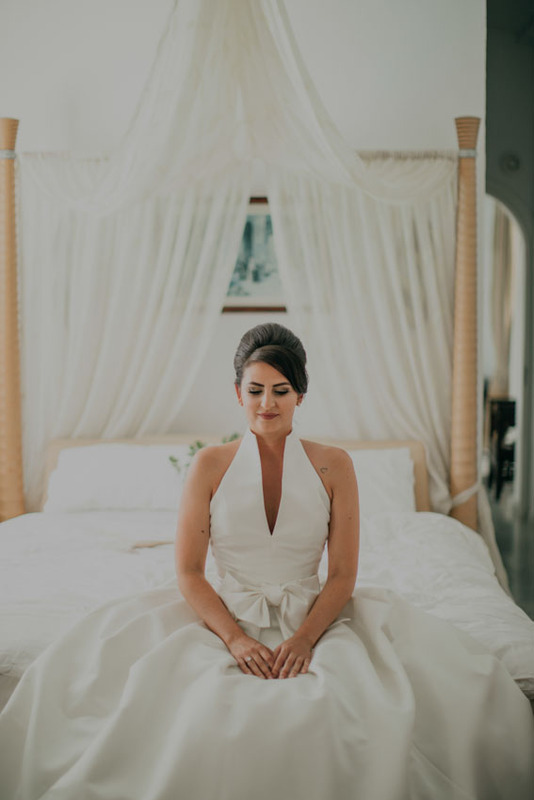 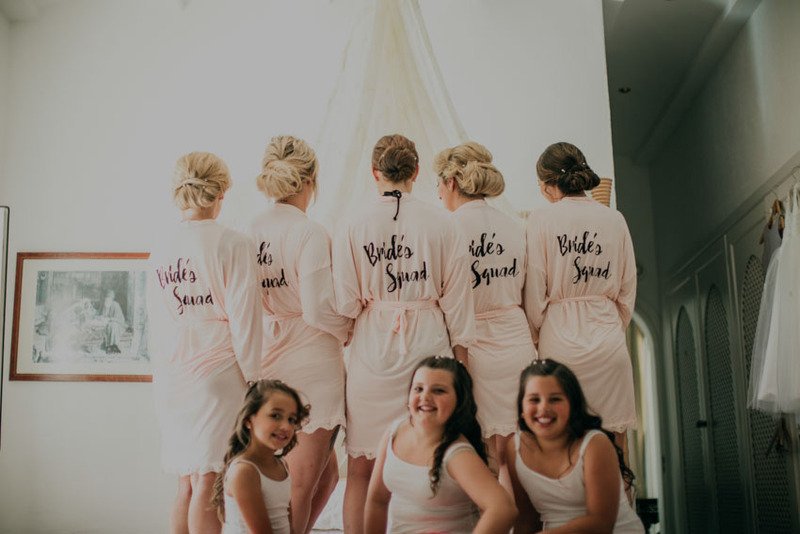 Serious oohing and aaahing in IW HQ this morning, looking through these dreamy images from Austin and Annamarie´s intimate and tres chic wedding celebrated at Cotton Lounge in Figueretes....so many gorgeous shades of pink from dusty pinks and nudes, to coral and hot fuchsia. 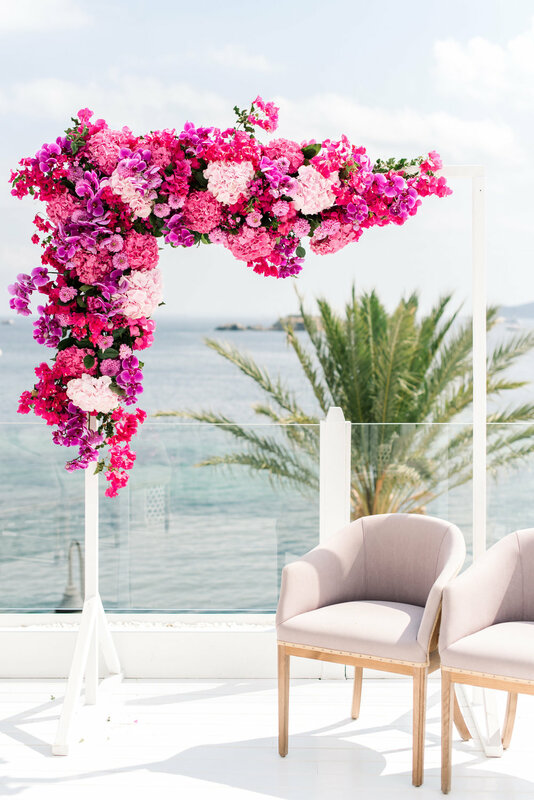 I think the ceremony arch is one of my favourite EVER (!!) 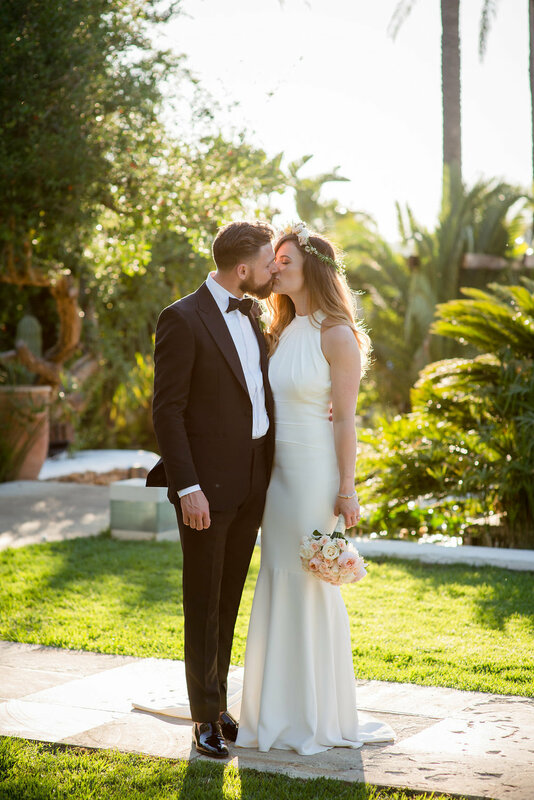 and those hours spent with both Annamaria and the florist to get it spot on were so worth it in the end. 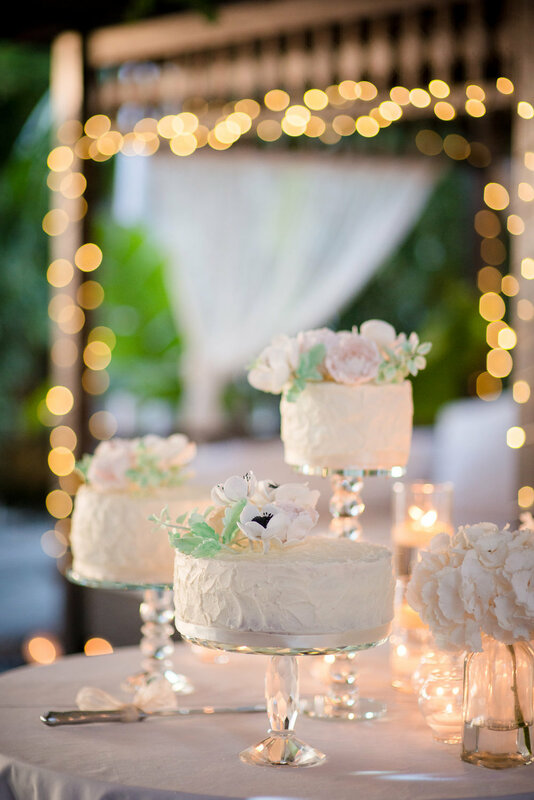 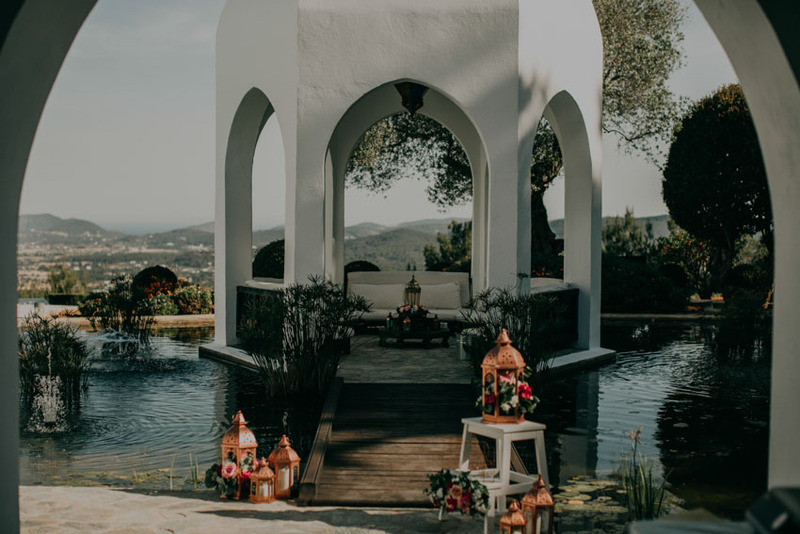 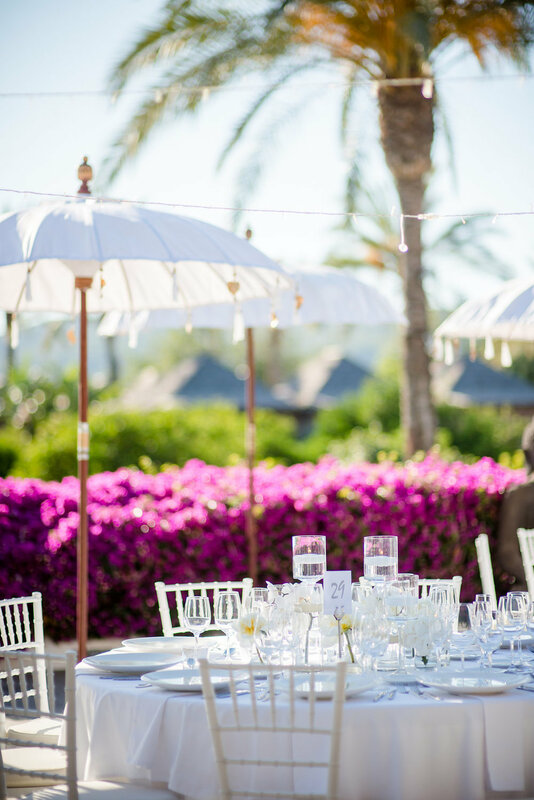 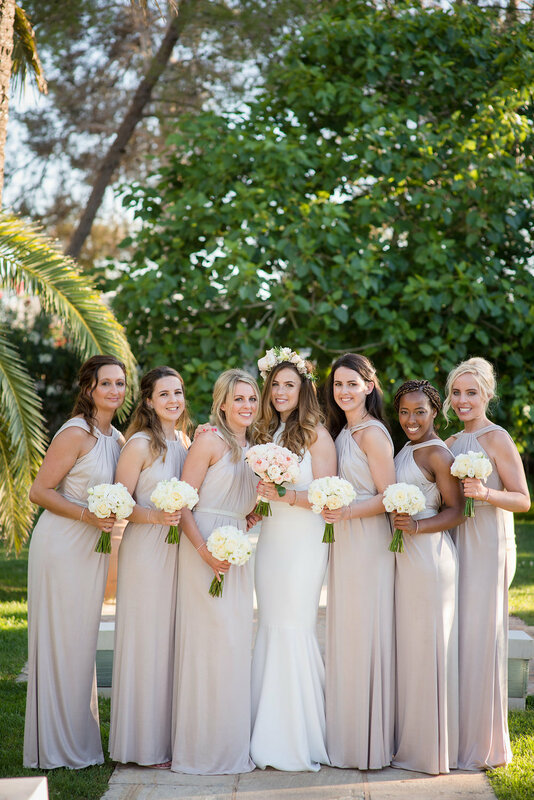 I also think the mix of different flowers works beautifully and with the sparking Mediterranean in the backdrop and the white and pale pink decor of the venue, the overall result is so pretty, feminine and stylish. 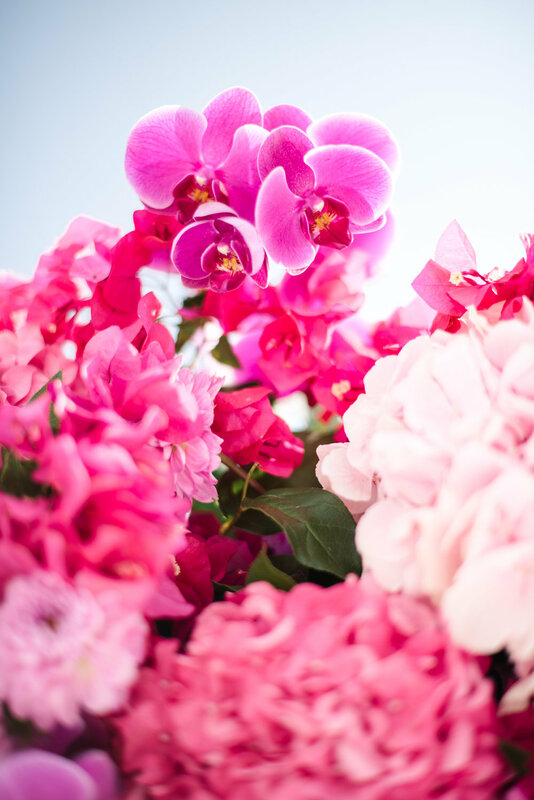 Special thanks to our wonderful florists, Ramo de Flores and our amazing decor team, Velvet Circus.